I don't bake very often. It's kind of a shame, since I used to all the time. 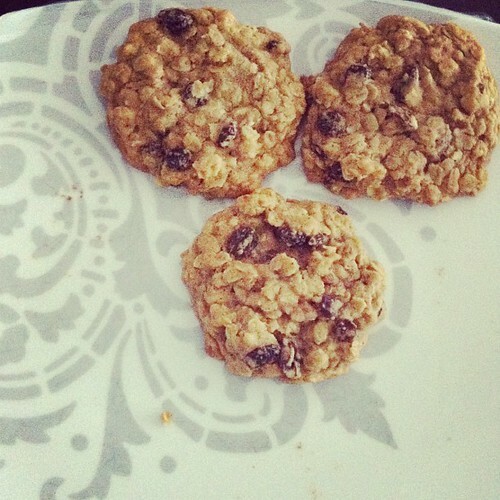 Anyhow, I decided to bake yesterday (mainly because I was craving sugar) and chose oatmeal raisin cookies (mainly because we had all the ingredients at home. They turned out great. I used the recipe from Smitten Kitchen and made the half batter. I got 12 large cookies out of it. I recommend trying this. Do you have a super simple cookie recipe to recommend? I'd love to hear about it!